Because of its shallow waters and the well-defined Walker Bay, Hermanus is well known as one of the most desirable spots in the world to view the Southern Right Whale. For this is the impressive creature’s breeding ground. 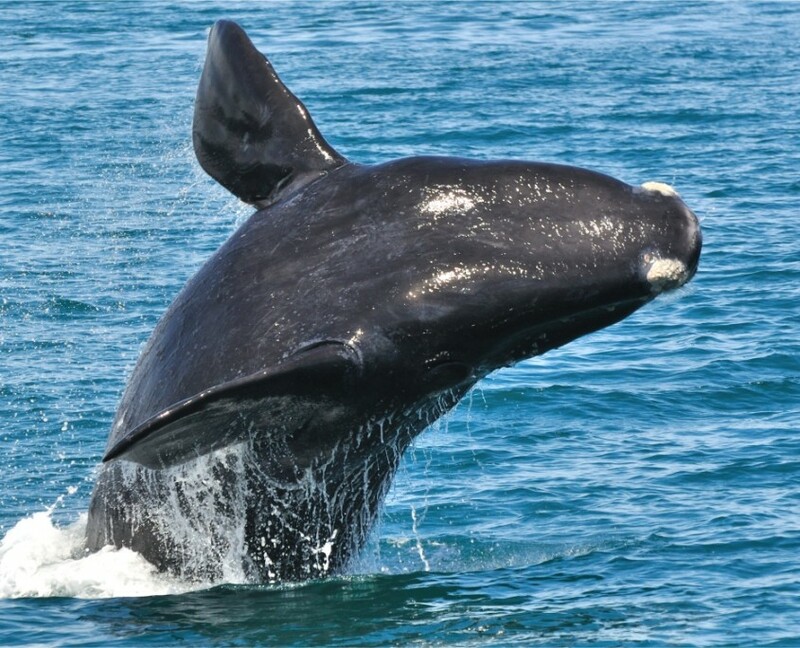 From July to November, the Southern Right Whale breeds in these waters. During these months, whale callers blow their iconic horns from strategic peaks on the land to alert locals and travelers alike that there are whales in the bay. Anyone who has watched whales breeching and performing their antics in Walker Bay can attest to the excitement that they have felt about observing these magnificent creatures in their natural habitat. Apart from its spectacular cliff and coastal walks as well as its beautiful Grotto Beach, the coastal town of Hermanus is also known for its crafts, studios and boutique shops, which make it an extremely pleasant tourist destination. You will be picked up at your hotel in an air-conditioned minibus and transported along a scenic route towards the coastal resort of Hermanus, one of the most famous places in the world for viewing the Southern Right Whale. Your experienced guide will fill you in on the history of the town, and give you some information about why the likelihood of sitting whales is so good in this area during the whales’ preferred breeding season (from July to November). You will travel to some of the best viewing spots for whale sitings and relax while you enjoy whales cavorting in the bay. You may also see some dolphins or seals as you are scouring the surface of the sea for signs of marine life. Whale callers will blow their iconic horns to alert you to the arrival or presence of whales in the bay. You will be at leisure to walk along the coastline enjoying the scenery, or to have a light lunch (at your own expense) at one of the many restaurants surrounding the bay. You may also like to wander through the town as you meander through the craft shops, studios and boutique shops. If you wish, there may be time to take a boat ride (at your own expense) for a closer look at the whales. After a stroll on the beautiful Grotto Beach, you will head to a wine farm along the homeward-bound route where you will sample some of South Africa’s local wines. You will be dropped back at your hotel after an exciting and satisfying whale-watching experience. Please complete the form below to submit a booking enquiry. Where did you hear about us?pick one!